It’s hard to talk about CD Projekt Red’s Cyberpunk 2077 without talking about the studio’s last game, The Witcher 3. And so it came to be that a lot of our E3 interview with Cyberpunk’s quest designer involved discussion of both games. 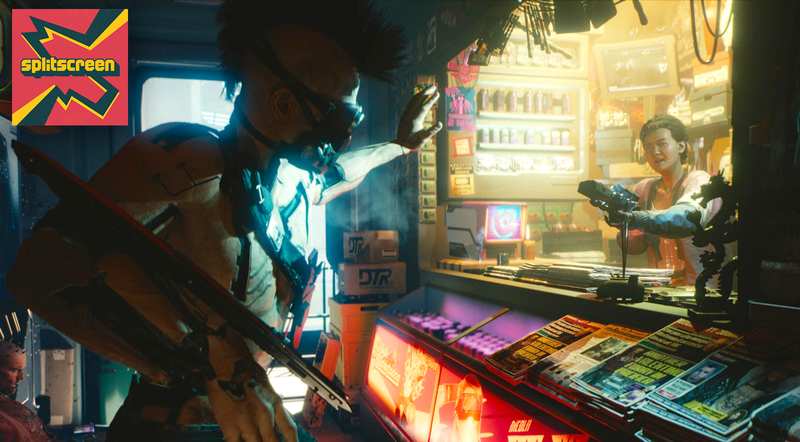 As part of Kotaku Splitscreen’s ongoing coverage of E3 2018, my colleague Jason Schreier sat down with Cyberpunk 2077 quest designer Patrick Mills to talk about the ambitious RPG. This was just after Jason saw the game’s apparently very impressive hands-off demo, which he wrote up in an article on this very website. It was an interesting chat, if a little bit frustrating, since argh, I just want to play this game already. You can listen to the whole thing below or download an MP3 here. Below is a lightly-edited transcript of a couple of times when Mills talked about CDPR’s approach to quest design and how this game will feel a bit different from Geralt’s big adventure. Jason Schreier: Let’s talk about your specific role. So you’ve been a quest designer, you worked on The Witcher 3, you work on Cyberpunk. How is the quest design mentality for you guys changed since The Witcher 3? What are some of the things you wish you could do better, what are the things you want to do differently for Cyberpunk? Patrick Mills: Well, one of the things, working on the expansions for The Witcher 3 that we started to look more into was the principle that if it was logically believable that your character would do a certain thing, or could do it in a different order, we would want to support that. And we want to do that with Cyberpunk as well. Of course, now we’re dealing with a character that might have more options. Geralt, he had very good senses, he had a good sword arm, and a good knowledge of monsters, and that took him through. In this case, you can play, you know, mixing and matching with these three different archetypes. These three different skill-sets that we have, the Solo, the Techie, and the Netrunner. And so that’s an extra layer of complexity. Our quests are extremely complex right now. It’s… yeah, it’s daunting! But we hope we can do it. Schreier: What’s the difference between Solo, Techie, and Netrunner? Mills: These are all character-types from the original Cyberpunk 2020 [pen-and-paper RPG]. And the Solo is sort of the go in, shoot, get the job done, go straight on in. Even there though, we have different types inside that. You saw in the demo, V runs around and wall runs and things like that. That’s one archetype you could take, but Jackie on the other hand is a different type of Solo, lifts cars to create cover and that sort of thing. Schreier: [Jackie] is the companion character you had, I should say. Mills: Yeah, of course. And then the Technie is more interested in technology, and hacking, and breaking things and fixing things. The Netrunner is, you saw just a little glimpse of that in the demo where she hacks one of the gangsters. Schreier: So basically, she takes the shard, which is this little chip, out of the gangster, sneaks up behind him, takes it, and then hacks into it and uses it to disable guns for everyone else in the complex. Mills: Yes. So that’s sort of our third archetype, is the Netrunner. Mills: No. You fluidly move between them. In the original [pen-and-paper game] you’d pick a class, and you could pick skills from other classes, but you were that class and you had special abilities unique to that class. We don’t want to do that. We want you to be able to move freely between those. Mills: ...plus all the different story beats, and what order you do things in, and how you play the different characters off one another. So yes, they are extraordinarily complicated. Mills: One of the things that is necessary to make the things that we want to make as good as we can make them is, well, it’s a bit like a maze. You’re inside the maze and you need to find your way out. And sometimes you’re gonna walk down dead ends. And sometimes you don’t know it’s a dead end [for] a very long time. And what you need to be willing to do is go back and try a different path. So that does mean iteration, and that does mean sometimes cutting things, and adding things late, and having to make them work. So, yeah. Schreier: In The Witcher, obviously, there were some specific archetypes for quests. There was the contract, you would go and talk to someone, and they put you on some adventure, and then there’s a twist or something like that. But it was all very much, this is what Geralt would do in this scenario. Here, we have V, who seems to be sort of like a cross between a predefined character and a character created because you can pick his or her gender, you can pick a background and stuff like that, as we just saw in the demo. When you’re writing quests for a character that could be one of many different personalities, where do you even start with something like that? Mills: It’s a matter of iteration, on some level. You go through and you say, well, wait a minute, I’d really like to be able to solve this in a different way, and then you build that in. Beyond that, I think what’s really actually cool is that you’re not constrained [by] “What would Geralt do?” You can say, “What would just any dirtbag do?” Because you know, you’re kind of playing a bit of a dirtbag. But there’s a lot more variety. Mills: Doesn’t have to be honorable. And you know, V lives in a world that’s very very dangerous and full of intrigue, and full of danger. It’ll be interesting to see how players decide to navigate through that, not just in terms of solving quests but also just morally and ethically. Listen to the full interview for more. We’ve still got more Splitscreen inbound from E3, with interviews and more hitting our podcast feed until the end of the week. As always, you can subscribe to us on Apple Podcasts and Google Play to follow along. Leave us a review if you like what you hear, and reach us at splitscreen@kotaku.com with any and all questions, requests, and suggestions.